According to wiki, Credit Note is document issued by a seller to a buyer. The seller usually issues a credit note for the same or lower amount than the invoice, and then repays the money to the buyer or sets it off against a balance due from other transactions. What information we should pun in a Credit Note? Credit note amount need to stated clearly and some details like products or services and quantity that need to credit should be stated as well. Seller information like business or company name, company address and contact information should be listed in the invoice. 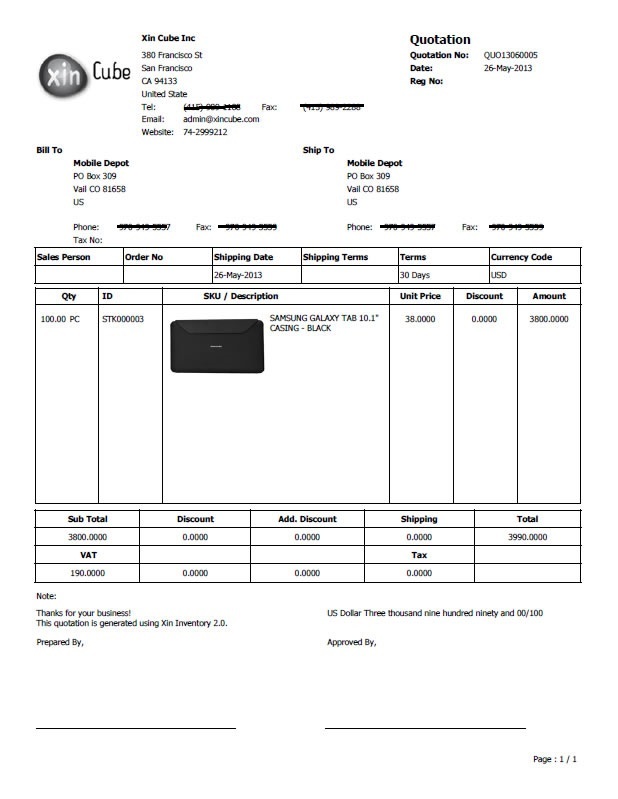 Customer information also need to stated in the invoice. Others than that, credit note reference number, credit note date is needed for future reference. How is Credit Note looks like? How to create a Credit Note? User can easily create Credit Note using Xin Inventory 2.0.